Baby I Love Your Way/Freebird combined two previously recorded rock songs: Baby, I Love Your Way by English rock singer Peter Frampton and Free Bird by American Southern rock band Lynyrd Skynyrd. Baby I Love Your Way/Freebird peaked at #1 on the American pop chart and #2 on the adult contemporary chart. It also hit #1 in Canada and Norway. Oddly Will to Power are listed as a one hit wonder when they peaked at #7 in 1991 with a cover of English rock band 10cc’s I’m Not in Love. In Ghost Town Ricky Gervais plays a dentist who can see dead people and is doomed to help them with their love problems, most especially Gwen (Tea Leoni), a widow who recently lost her husband, Frank Herlihy (Greg Kinnear). Ghost Town was directed by David Koepp who also co-wrote the screenplay with John Kamps. The fantasy comedy film was made for $20 million, bringing in $27.1 million. The Glitter soundtrack album was technically American superstar Mariah Carey’s eighth studio album. It was released on September 11, 2001 and was the first album of Carey’s unprecedented $100 million five-album deal secured after Carey left Columbia Records, the label that turned her into the star she was. The album was a complete departure from any of Carey’s previous releases and focused heavily on recreating a 1980s disco feel by covering and heavily sampling numerous older tunes and songs. Criticism of the album included too many guest features and a failure to truly recapture a genuine 1980s feel. Both the film and the soundtrack were commercial and critical failures. So much so that Virgin cancelled Carey’s deal paying her $28 million to leave and dropped her from the label. The Glitter soundtrack debuted at an abysmal (for Carey) #7 and had the lowest first-week sales of any album Carey released. Internationally, the soundtrack peaked outside the top ten in many countries and has only sold 2 million copies worldwide, securing its place as Carey’s least successful album of all time. Loverboy was the album’s lead single and initially sales were low. When the song stalled on American charts, Virgin dropped the price to 99 cents. The plan worked to spur sales and helped the single to peak at #2 on the pop chart. The second single, Never Too Far didn’t have the same help and peaked at #81. The other singles Don’t Stop and Reflections (Care Enough) failed to chart. Carey continues to blame the September 11 terrorist attacks for the poor performance of both the film and the soundtrack as well as her poor personal health at the time. Blaming the terrorist attack is a poor excuse indeed and her personal health had slipped long before September. (In July 2001, Carey appeared on Total Request Live during which her behavior was described as bizarre and erratic. Shortly after that appearance she was hospitalized for “extreme exhaustion” and a “physical and emotional breakdown” and an unconfirmed suicide attempt which Carey continues to deny.) It was this hospitalization that led Virgin to delay the film and the soundtrack to September, from August 21 to September 11. However, also blaming the release delay is a poor excuse as well. A star of Carey’s proportion shouldn’t have needed a huge push to make her work commercially successful at that point in her career. By this time, Carey had had an 11-year musical career and was at the top of her field, having been named Billboard’s Artist of the Decade for the 1990s. The truth is the film and the music were terrible plain and simple. While the other stuff was definitely unfortunate and badly timed, none of it was to blame for the poor performances. 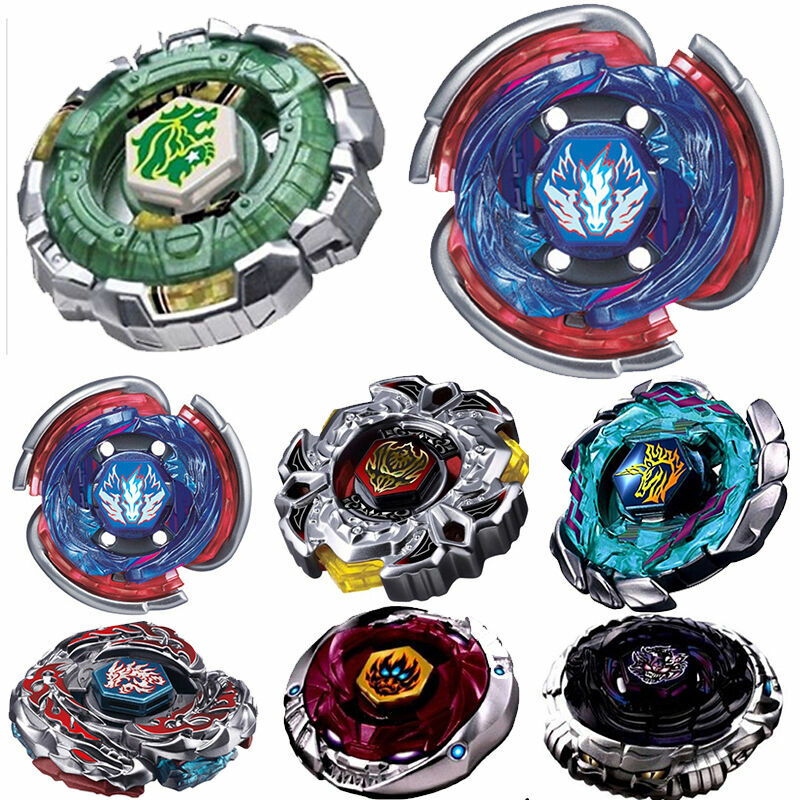 Beyblade (the toys) were originally developed and manufactured by Takara Tomy. Beyblade is a spinning top toy where the tops fight with each other in a plastic arena, the Beystadium. The last top still spinning wins. The toys and merchandise were created to coincide with the Japanese anime series and manga (comic) series written and illustrated by Takao Aoki. What a one hit wonder this song was! A Whiter Shade of Pale was the debut single by British rock band Procol Harum, released in May 1967. It reached the top spot (and stayed there for six weeks) in the UK in June 1967 (it also reached the top spot in Canada and 9 other countries). Without much promotion, it reached #5 in the U.S. A Whiter Shade of Pale became a Summer of Love anthem song in 1967, is one of fewer than 30 singles to have sold 10 million copies worldwide, is one of the most played song in the last 75 years in public places in the UK (as of 2009) and is recognised as the most played record by British broadcasting of the past 70 years. Wow! How about some more? In 1977, A Whiter Shade of Pale was named joint winner (along with Queen’s Bohemian Rhapsody) as the Best British Pop Single 1952-1977 at the Brit Awards. In 1998 A Whiter Shade of Pale was inducted into the Grammy Hall of Fame. More than 1000(!) cover versions have been produced. Originally the song writing was credited to Gary Brooker and Keith Reid. In July 2009 Matthew Fisher won co-writing credit in a unanimous ruling from the Law Lords. How could Procol Harum possibly eclipse (or at least match) the success of this baroque rock hit? Well, they couldn’t. The closest they came again to a hit was with Homburg (also in 1967); it reached #6 in the UK (#15 in Canada and #34 in the U.S.) No other single has peaked in the top ten. And they attempted the feat with 17 other singles chart appearances. Robert Browning was a prolific Victorian-era poet and playwright born in Camberwall, a suburb of London. Browning is widely regarded as a master of dramatic monologue and psychological portraiture. He is best known for a poem he didn’t value at all, The Pied Piper of Hamelin and for his long form blank poem, The Ring and the Book, the story of a Roman murder trial in 12 books. He was married to the poet Elizabeth Barrett Browning. Browning’s father worked as a bank clerk (foregoing a family fortune because he opposed slavery). His father also amassed a personal library of some 6000 books, which served as an unconventional education for young Browning and his younger sister Sarah Anna. His family was hugely supportive of his early career, supporting him financially and self-publishing his early works. Browning lived at home with his family until 1846 when he and Elizabeth Barrett married. Barrett’s father disapproved of the marriage and disowned her. The newlyweds moved to Florence, Italy. During his marriage, Browning wrote very little, educating their son. After Elizabeth’s death in 1861, Browning and son returned to England. Finally, during his 50s, Browning began to attain popular success. In 1881, the Browning Society was founded to study his work. In 1887, he received an honorary DCL (Doctor of Civil Law) from Oxford University’s Balliol College. His final work, Asolando was published the day he died, December 12, 1889. Browning died in Venice and is buried in the Poets’ Corner in Westminster Abbey. Villette was an 1853 novel written by English author Charlotte Bronte, published under her psuedonym Currer Bell. After a family disaster, Lucy Snowe travels from England to the fictional French city Villette to teach at a all-girls school. There she is drawn into adventure and romance. Villette was Bronte’s fourth novel and a re-working of her debut novel, The Professor, which was actually published posthumously in 1857. Technically Jane Eyre was Bronte’s first published work in 1847. Banitsa in any form is part of a traditional Bulgarian breakfast. Banitsa is a greasy pastry dish that can be purchased in all Bulgarian bakeries. Its standard filling is a feta-like white cheese. Other fillings include onions, cabbage, spinach, mushrooms or pumpkin. Sweeter versions are filled with apples or walnuts. Bulgarians combine banitsa with boza, a thick fermented wheat drink. Rockin Robin was written by Leon Rene (under the pseudonym Jimmie Thomas) and recorded by Bobby Day in 1958. It went to #1 on the U.S. R&B chart, #2 on the U.S. pop chart and #9 in Australia. Michael Jackson covered the song in 1972 but was unable to go to #1 with it. He was stuck at #2 on both the American pop and R&B charts (#3 in the UK).